English Mustard with flakes of chilli to give an extra kick. Use to give a boost to cold meats and pies. 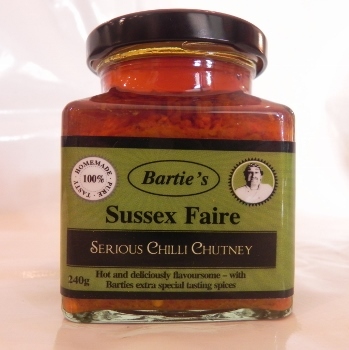 Subtle chilli flavour gives a pleasant addition to a traditional mustard. Cider Vinegar, Crushed Yellow Mustard (22.9%), Light Brown Sugar, Red Chillies (4.2%), Sea Salt, Turmeric, Ground White Pepper.